A Continuing Care Retirement Community (CCRC) is a senior care community that offers all the levels of senior care to its residents. CCRCs are designed to allow the senior to completley age in place and offer independent living, assisted living, skilled nursing and memory care. Typically residents will enter at the indepednent living level and when they begin to require additional care, they can receive that within the same community. 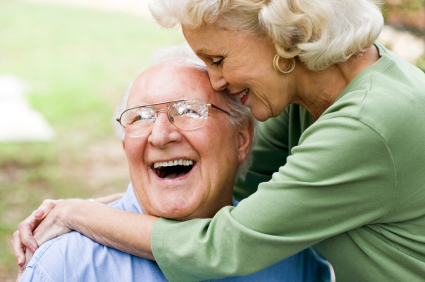 What is Continuing Care Retirement Community? CCRC are designed to have the senior “age in place.” As we age, our care needs naturally increase. That is why CCRCs offer care from independent living all the way to skilled nursing care. CCRCs allow the senior to remain in a familiar environment and prevents the need for the resident to be moved around to receive the care he or she requires. Who Lives at a Continuing Care Retirement Community? Many seniors enter a CCRC at the independent living level. There, they are able to enjoy their retirement years while still being active. If something should happen to the senior while he or she is living in the independent living part of the community, they can remain in the community and begin to receive either assisted living or skilled nursing. Because all of the levels of care are offered at a CCRC, seniors that live at a CCRC range from incredibly independent to those that have dementia or require 24 hour medical care. Seniors that have planned in advance for their senior years will find the services and amenities that a CCRC provides attractive. Assisted living communities are for those that require assistance with the activities of daily living. Activities of daily living include eating, bathing, dressing, grooming and toileting. Assisted living communities do not provide medical care to the residents, so if the resident’s care needs increase, he or she will need to be moved to a different type of senior care facility such as a skilled nursing center or memory care facility. CCRCs differ from assisted living communities in that they offer all of the services and amenities assisted living communities offer, but also offer the increased levels of care as well. The biggest benefit to choosing a CCRC over another type of senior care community is that a CCRC eliminates the needs for the senior to move once care needs increase, or even decrease. How Much Does a Continuing Care Retirement Community Cost? Some communities require residents to pay an entry fee in order to live at the community. Other communities will charge a month to month fee, and this will vary significantly depending on the level of care the senior is receiving. A resident that is living in the independent living part of the community will pay significantly less than a resident that has been moved to the memory care part of the community.